Inexpensive orthodontia doesn’t have to be impossible for the modern woman. 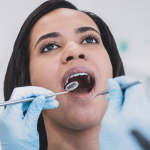 Besides the obvious cosmetic disadvantage of crooked teeth, skipping braces is not the best option if you’re looking to save money in the long run. 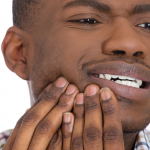 A legion of new problems crop up when you don’t have properly-aligned teeth. 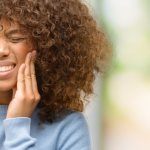 Misalignment can cause jaw and muscle strain, increasing probability of a broken tooth, it can make chewing difficult and it increases probability of cavities, decay, and gingivitis when it interferes with your ability to take care of your teeth. If you’ve made a decision to pursue orthodontic treatment, what’s next? How does the average, practical person go about finding discounts or a rare inexpensive orthodontist? Go to a dental clinic. Any research you do will always lead you back to dental schools as offering the best prices on the market. At Penn Dental Medicine, seasoned professionals at the top of their field supervise today’s brilliant minds in training for orthodontia and other specialties. Visit us to find out more. Depending on your financial situation, you may be eligible for programs from the state or foundations if you need braces. Low income families can go through programs like Smiles Change Lives and Smile for a Lifetime Orthodontic Foundation. Ask your orthodontist for payment plans. Most orthodontists will offer this as a way to make the dental care a feasible cost for patients. When you pay smaller chunks of the cost on a monthly basis, you can base payments on the income you’re bringing in. That can make the difference needed for you to be able to get your orthodontic care. The best place to start is to ask for a consultation with an orthodontist. Recall that you do not necessarily have to go to a specialty office to access a quality orthodontist. You may find that the less expensive option is found under the same roof— dental clinic or dental school offering a variety of services. 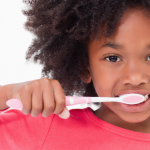 Penn Dental Medicine offers deep discounts and top-of-the-line dental care for orthodontia and much more.